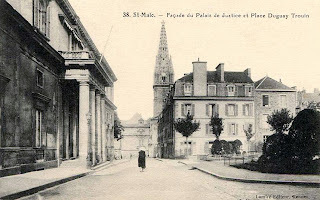 In 1968, the square that had previously been called Place Duguay-Trouin, Place de la Grande Commune and Place de la Réunion, was renamed after two brothers; Jean-Marie (Saint-Malo 1780 – Ploërmel 1860) and Félicité (Saint-Malo 1782 - Paris 1854) Robert de La Mennais. 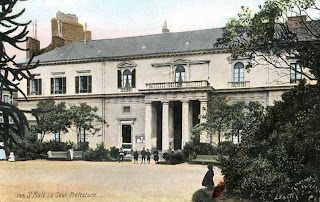 J.-M. Robert de La Mennais founded the Frères de l’Instruction Chrétienne de Ploërmel (a Christian educational foundation) and the Dames de la Providence de Saint-Brieuc (a Christian charitable association) which, prior to 1944, had a boarding school on the eastern side of this square. F. Robert de La Mennais, or Lamennais, was a reformist philosopher who was condemned by the Pope for his avant-garde ideas, but which ended up being recognised. This square, which is the largest one within the town walls, is where the main garden of the old bishopric that was suppressed in 1790 was located. Its buildings extended along the northern side, from the site where the Hôtel des Finances is currently located, up to where the cathedral is. 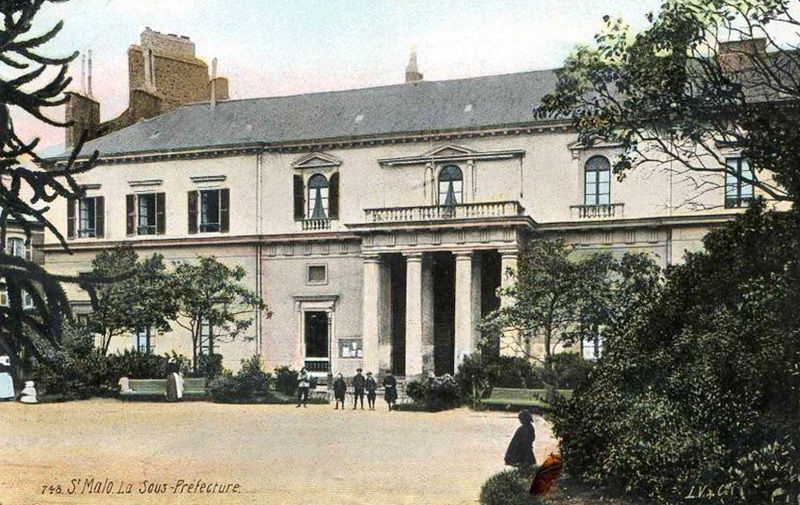 They were used as the Sub-Prefecture, and then as law courts after the transfer of the town hall. In 1829, a marble statue of Duguay-Trouin by D. Mohlknecht was erected in the square, which nowadays is at the Municipal History Museum; then, in 1923, the war memorial was transferred to the Éclos de la Résistance in 1998. The south side of the square has retained its old houses. The rear façade of No. 5 Rue du Boyer bears the date 1714. The post office on the west side of the square is the work of the Saint-Malo architect Yves Hémar and bears the date 1928. The east side of the square is flanked by Îlot 64, a housing complex rebuilt according to the drawings drafted by the architects H. Auffret and J. Hardion (1950). In 1999, during the construction of an underground carpark, the remains of a Neolithic site beneath the square were unearthed.